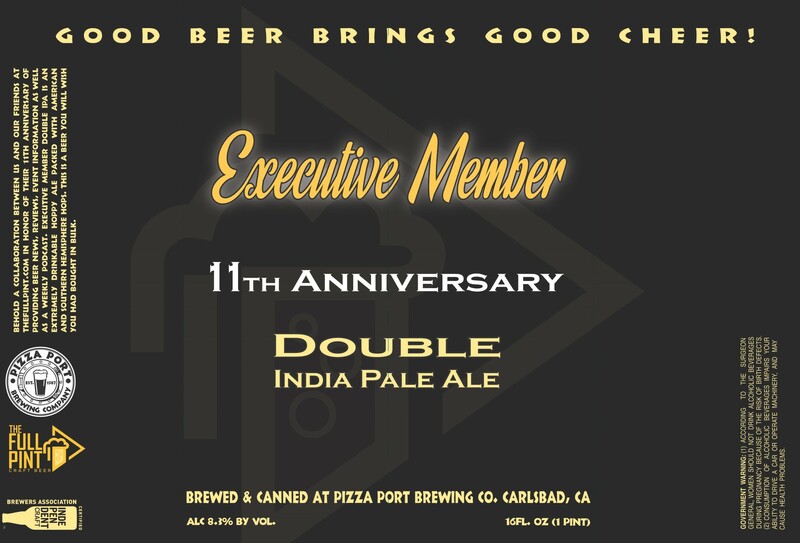 (Carlsbad, CA) – Last summer, The Full Pint teamed up with Pizza Port Carlsbad to create a draft only double IPA named Executive Member, for our milestone 10th Anniversary Celebration. The beer had such an overwhelming reception from those that tried it that Pizza Port decided it was time to bring the band back together for The Full Pint’s 11th Anniversary, but this time, in cans. Executive Member Double IPA is an extremely drinkable hoppy ale packed with American and Southern Hemisphere hops. This is a beer you will wish you had bought in bulk. 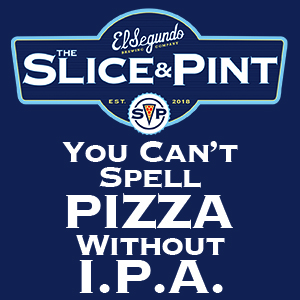 The Full Pint crew is in the midst of an 11 stop collaboration tour, and will be stopping by Pizza Port’s San Clemente location on July 21st as we release six packs of Executive Member Double IPA, and limited quantities will be available at all other Pizza Port locations, of course, while supplies last.